Streets Alive! boasts a variety of great entertainment - music, dance, magic, balloon art, sports demonstrations, and join in fitness activity, to name just a few. 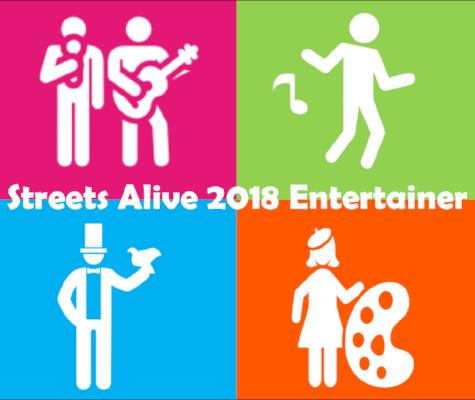 Performing at Streets Alive! 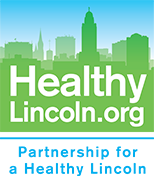 is an opportunity to be a visible part of a free event open to the entire community of Lincoln. Over the years, our attendance has grown to an average of 4,000 including more than 100 exhibitors and entertainers. Our 2018 event saw over 4,000 participants. Sign up for the 2019 festival will be available closer to the event. We move the festival around the city every two years. We cordon off nearly 2 miles of streets blocked off from traffic so visitors can walk, stroll, skate, bike - any kind of human powered travel along the festival route. We have both street artists and stage artists. Bring people to you and let people know you will be Streets Alive! Closer to the 2019 festival, you will be able to download promotional and social media badges. Entertainers will have 15 minutes before their performance and 15 minutes after their performance to set up and take down. The stages will be ready, so both should be minimal. Help will be available at volunteer information booths if you need assistance loading and unloading. The streets following the route will be closed to traffic and parking the day of the event. In order to accommodate everyone in the area on the day of the event, there will be a variety of parking lots available in the vicinity of the route. Parking location and closed streets information for the 2019 festival will be listed on our FAQ page closer to the event.